What’s been happening in the Book World this week? Allow me to break it down for you with my selection of the very best in book news. The Children’s Book Council of Australia announced the 2019 shortlists! 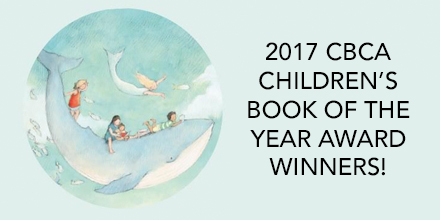 It’s been an outstanding year for Aussie children’s books, and the CBCA shortlists for Books of the Year certainly reflects that. An eclectic and wildly imaginative list of books made the cut this year, featuring so many authors we love like Shaun Tan, Alison Lester, and more. 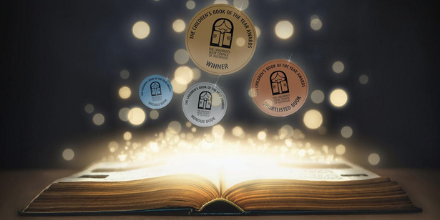 The CBCA Books of the Year will be announced on 16 August, coinciding with the beginning of Book Week – check out the shortlists here. Are you Australia’s next great storyteller? HarperCollins wants to hear from you! HarperCollins is on a quest to find Australia’s next great storyteller. This prize was launched in 2018, offering Australian fiction writers the chance to win a publishing contract with HarperCollins and an advance of $15,000. If you see yourself as the next Trent Dalton or Holly Ringland (and are over 18), you can submit a full manuscript to HarperCollins here, along with a 500 word synopsis and a 200-word biographical statement. 2018’s winner of The Banjo Prize, Taking Tom Murray Home by Tim Slee, is available now for pre-order. Speaking of storytellers, Byron Writers Festival will be taking five of them to regional NSW towns as part of their annual Writers on the Road tour. Five acclaimed storytellers will be riding the Storyboard bus from 8 – 12 April, including bestselling YA author Melaina Faranda, illustrator Tony Flowers, Australian Slam Poetry Finalist Anna Stewart, Arakwal oral storyteller Delta Kay, and writer/educator Zacharey Jane. This tour brings readers and writers together to celebrate stories of all kinds in a series of free events in regional towns and schools, which will be taking place this year in Coffs Harbour, Grafton, Nambucca Heads, Kempsey, Port Macquarie and Taree. You can find more information on Writers on the Road here and the Byron Writers Festival more generally here. This April, the Storyboard Bus from Byron Writers Festival will be taking storytellers to a whole range of regional towns and schools. This week, Bron reviewed The Secret Runners of New York, the apocalyptic new thriller from Matthew Reilly about time travel, an elite club, and the end of the world. Bron loved this book, calling it “fast-paced, action-packed, and compulsively readable – a classic Matthew Reilly!” Read her review here. If music is more your thing, then I have just the book for you. Taylor Jenkins Reid’s Daisy Jones & The Six is a pitch-perfect recreation of the world of ’70s rock ‘n roll. I reviewed this book last week saying that it is “like nothing else on the shelf right now. It balances wistful nostalgia for a bygone era with harsh reality, stylishly capturing a world that made it all too easy for the stars to fall.” Read my review here. We’ve had visits from so many amazing authors recently – we’ve had Jessica Rowe, Matt Cosgrove, Meg Keneally and Susan Hurley. The Sydney Writers’ Festival released its 2019 program – check out our rundown of the must-see events here. The 2019 Man Booker International Prize longlist is out – take a look at the nominated books here. Oprah Winfrey is partnering with Apple’s new platform, Apple TV Plus, to build “the biggest, most vibrant, most stimulating book club on the planet.” She will host live streams with authors and plans to connect readers from all over the world – read more here. Yesterday, 26 March 2019, marked 50 years since the death of John Kennedy Toole. Toole was the author of the picareqsue romp A Confederacy of Dunces, who tragically committed suicide before he could see his book published. It went on to win the Pulitzer Prize for Fiction in 1981. That’s it for this week – stay tuned for the best news, views, and reviews right here at The Booktopian!